In 2003, at the age of 78, May de Lencquesaing, then owner of the famouns Chateau Pichon Longueville Comtesse de Lalande, purchased the estate, part of the original Idas Valley farm, granted in 1982 by Simon van der Stel. With a nod to the French Huguenot settlers 300 years before, she set about planting vines to replace the existing fruit trees, realising her vision of establhing a thriving winery that best utilises the soils and micro-climate of the valley and supports local economic development and the community. 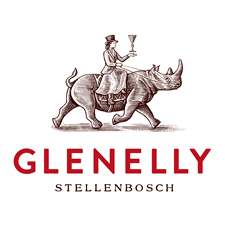 And thus Glenelly Estate was reborn.